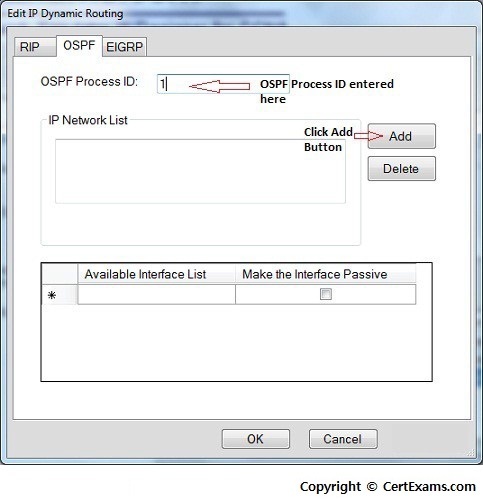 Description: In OSPF single area, you configure OSPF network with an area ID. 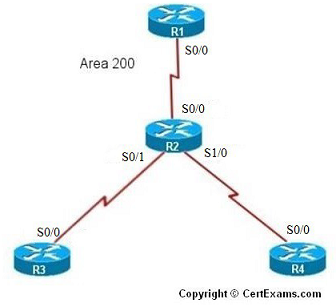 The configuration example uses four routers working in area 200. 7. In Add a Network window enter 192.168.1.0 as network address , wildcard mask 0.0.0.255 and area 200 and click OK button. 9. 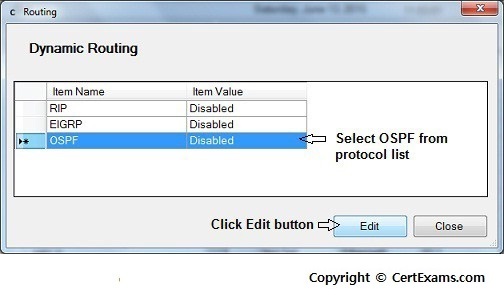 Repeat steps 2 – 7 for configuring R2's S0/0 interface ip address as 192.168.1.2 255.255.255.0 , S0/1 interface ip address as 192.168.2.1 255.255.255.0 and S1/0 interface ip address as 192.168.3.1 255.255.255.0 and network addresses 192.168.1.0 ,192.168.2.0 , 192.168.3.0 and wildcard mask as 0.0.0.255 and area 200 10. Select R3 from Select Device drop down box. 14. Ping R3 and R4 from R1 and verify connectivity using Utilities > Ping and Traceroute.